The developing mining regions of Asia, Africa and South America have been fertile grounds for Australian mining technology and service during recent years but increasingly this technology is being planted in the more mature markets, such as Canada and the United States. Among the obvious reasons are being closer to the mining opportunities offered in Mexico and South America as well as proximity to the financial advantages offered by American and Canadian investment banks and financial institutions. There are other less obvious reasons, including the many deposits being discovered in Canada, and particularly in remote areas, and the fact the U.S. is implementing new mine safety laws at the same time many mining companies are seeking ways to tackle rising costs, lower-grade ores and skill shortages. It appears Canadian and U.S. companies are now much more willing to examine technology originating outside North America and valuing innovation that can make a difference. In these markets most operations appear receptive to innovative products and value-added services that contribute to improved results. There are other issues, such as environmental safety regulations, that require mining companies to look for ways to optimize operations. Through having dealt with many of these issues and having to operate in remote locations, specialist and experienced Australian personnel and the technology developed by Australian firms is increasingly in demand in mining situations around the world. Russell Mineral Equipment (RME) has passed two more milestones on the mining equipment highway with the establishment of a service and sales hub in the U.S., and completion of its 200th mill relining machine. Despite having traveled a considerable distance and passing many milestones since being established in Toowoomba, Queensland, 25 years ago, RME shows no signs of slowing down with new products being developed and plans for expansion in Asia and Africa. RME was started in 1985 by John Russell, a young mechanical engineer with five years’ experience in the mining industry, who moved to Toowoomba to realize his dream of inventing and manufacturing world-class mining and mineral processing equipment in Australia. One of the company’s early projects was the design, manufacture and installation of four “Isa Sizer” vibrating screens. The Isa Sizer was invented by Russell while employed by Mt. Isa Mines (MIM) and were originally distributed under license to MIM. Today Russell, RME’s managing director, is recognized as the world’s leading designer, manufacturer and supplier of grinding mill relining machines and associated equipment. In 2005, RME established an in-country operation in Chile to provide enhanced support service for the growing complement of installed machines in South America. This year the company has replicated this successful business model by setting up a service and sales hub in Salt Lake City, Utah, USA, to provide service to existing and future customers in North America. 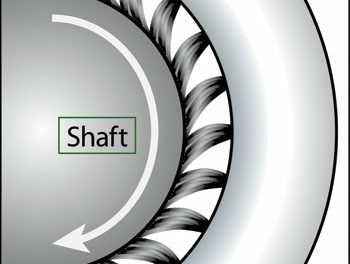 “RME’s mill relining systems make mill maintenance faster, more reliable and safer. It stands to reason that our service and support should be as well,” said Russell. “With travel time from RME’s headquarters in Australia to North American mine sites exceeding 24 hours and the number of installed systems increasing rapidly, we have found it challenging to service North American customers within acceptable lead times. From our new hub in Salt Lake City, RME’s services to North American customers will now be faster and better value for the money. He also expressed the company’s prospects for further growth in Asia and Africa are excellent. “The reasons are two-fold. Most global economic models show an increase in demand for metals into the future which will underpin firm prices for these commodities.” Russell said. “It will, therefore, prove increasingly attractive for brownfield and greenfield sites to develop in countries looking to satisfy internal demand, for example China, or for export income. Some of these regions haven’t experienced resource prospecting and development with the same intensity as other regions, such as Chile. “These reasons underpin our decision to further develop our South American and North American hubs, dedicate a sales manager to serving the Chinese market, and develop plans for a new sales and service hub in Africa within the next 12 months.” Another milestone RME is celebrating in 2010 is the completion of its 200th mill relining machine. The 2,500-kg-capacity, seven-axis machine is being used at BHP Billiton Nickel’s West Kambalda operation in Western Australia. The first machine, a 400-kg-capacity, six-axis version, was made in 1990 and used by MIM in Australia; the 50th, in 2001, was a 1,500-kg-capacity, seven-axis unit for Rustenberg UG2 in South Africa; the 100th, in 2007, was a 3,500-kg-capacity, sevenaxis MRM for Gibraltar, Canada; and the 150th mill relining machine, in 2008, was a 3,500-kg-capacity, eight-axis MRM for Clarabelle, Canada. There are many different types and sizes of grinding mills in operation around the world, so each RME Mill Relining Machine has to be tailored to meet the specific needs of the customer. An example of this ethos is the new T-MAG Thunderbolt Moil Axis Guide. Designed to complement the mill relining systems range, it has been developed in response to market demand and has been very well received by the market. T-MAG makes bolt knock-in safer and more efficient by ensuring moil guidance on bolts that are flush with the mill shell, and avoiding shell and bolt hole damage by guiding the moil effectively even when the bolt is flush with the mill shell. It also minimizes the probability of moil and bolt chipping by ensuring centered and controlled impact, and effectively contains the metal shards within the T-MAG adaptor in the case where shards are produced. As well as T-MAG, “RME personnel have developed a wide range of advanced technologies for use in the mill relining process,” Russell said. “These include Thunderbolt Hydraulic and Pneumatic Recoilless Hammers, replacing the old-fashioned sledge-hammers used in the mills, and transporters which can quickly extract and safely move the heavy feed chutes used to direct ore into the grinding mills. “The central issue regarding maintenance of mineral production devices such as grinding mills is the cost of plant down-time. Every hour spent relining is an hour when the process is not productive and that ‘lost opportunity cost’ can run to tens of thousands of dollars an hour or even hundreds of thousands of dollars an hour at some rich mineral deposits,” said Russell. Australia’s Commonwealth Scientific and Industrial Research Organization (CSIRO) has developed a prototype slurry analyzer capable of measuring both mineralogy and ultra-low elemental composition directly on a process stream, thereby avoiding laborintensive, time-consuming and potentially error-prone sampling. The minerals industry has traditionally relied on two different x-ray based technologies to determine a material’s characteristics: x-ray diffraction (XRD) for mineralogy and x-ray fluorescence (XRF) for sensitive chemical composition analysis. CSIRO researchers were developing separate XRD and XRF slurry analyzers when they began to realize the designs had similarities and there could be value in combining them into the one tool. “We’ve taken the best aspects of XRD and XRF analysis technologies to create the new prototype,” said Dr. James Tickner, who heads the CSIRO team developing the analyzers. The result is a single tool capable of providing simultaneous mineralogical and elemental analysis. An added benefit is a near halving in the tool’s cost and complexity, meaning the new tool is a more compact and cost-effective product. The technology, dubbed XRDF for its dual origins, has been designed to operate directly on-stream for plant control and monitoring applications. It measures a material’s characteristics as it passes through the analyzer in the form of a slurry. By using a launder tank geometry, a range of flow rates up to 100 liters per minute can be accommodated. The analyzer reports updated composition parameters every minute, allowing rapid responses for plant control. The XRDF prototype can be readily adapted to measure different elements and minerals, making it well-suited for a wide range of applications and industries. Tickner says that for elemental analysis, the prototype is 10 times more sensitive than other commercial slurry analyzers. 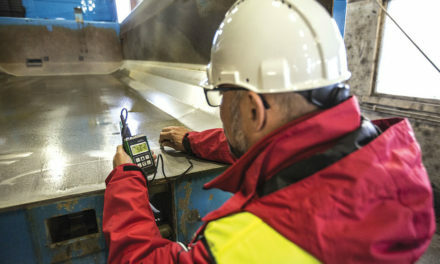 “XRDF can detect down to a level of about 100 parts per billion, allowing us to measure valuable metals such as gold, silver, uranium and the platinum group elements which may only be present at levels of a few grams per ton or less,” Tickner said. Since winning the Australian Export Achievement Award in 2006, Duratray International has continued to expand the global reach of its suspended dump bodies for mine and quarry haul trucks. While the 2006 award was focused on export achievements to Chile, during 2009–2010 additional orders have been delivered to new regions such as Papua New Guinea, Indonesia, New Caledonia, Laos, Norway, Peru, Canada and Suriname. The company has also received new orders from South Africa, Israel and Mongolia. October 2009 saw the successful commissioning in northern Laos of two new Duratray suspended dump bodies for Cat-777D haul trucks at PanAust Ltd.’s large Phu Kham open-pit coppergold operation. In selecting the two Duratrays, the mine’s objectives were to obtain a higher volumetric capacity at a significantly lighter weight than their existing steel dump bodies, and to reduce or overcome carry-back problems with wet cohesive materials in the mine and at the expanding tailings dam. Headquartered in Melbourne, with offices in North and South America, Duratray International is a global leader in the design and supply of specialist high-efficiency dump bodies for mine haul trucks. More than 1,000 Duratray suspended dump bodies are in service at mines and quarries in more than 20 countries worldwide. The Reflex Classifier (RC) is gaining global acceptance as a highefficiency, high-capacity separator for fine coal and minerals and has enabled users to benefit from large yield increases as well as enhanced product quality. This invention by the University of Newcastle in New South Wales, Australia, is part of the next generation of mineral processing equipment for the mining industry. Ludowici has the worldwide license for the RC, which ensures global exposure and the company exhibited the technology at the 2010 International Coal Preparation Congress, which was held during May, in Lexington, Kentucky, USA. “During the congress, the inventor, Professor Kevin Galvin of the University of Newcastle, presented a technical paper on the RC to a large appreciative audience,” said Taavi Orupold, RC product manager. “So far, sales of the RC have been in Australia, India, China and New Zealand with interest from most resource processing countries.” The RC has achieved significant efficiency gains. The key to its success is that it uses lamella plates in the upflowing slurry to enhance the settling rate. The RC’s higher settling rate above the feed zone enables higher feed rates and a wider range of feed conditions than a conventional classifier. The RC2020 can be fed up to a nominal rating of 120 metric tons per hour in coal applications. Other conventional classifiers would require up to six times the floor space to achieve a similar capacity. Ongoing development work is in progress by Ludowici to optimize the RC for use in other applications such as mineral sands, iron ore fines, and industrial minerals. Allight’s Nightshifter Hydraulic 6000 mobile lighting tower (NH6000) was a finalist in the 2010 Australian International Design Awards (AIDA). Each year the AIDA, a division of Standards Australia, rewards the nation’s most innovative designs across a range of manufactured products. Competing in the heavy machinery category, the NH6000 is a new concept in mobile lighting solutions. Designed with easy transportation in mind, the lighting tower is compact, lightweight, shock-resistant and features a retractable drawbar, forklift pockets and lifting points. “The unit’s modular design and space-saving properties ensure more efficient transportation. In fact, eight units fit perfectly in a 40-foot cargo container,” said Paul Sowerby, director of sales and marketing for Allight.